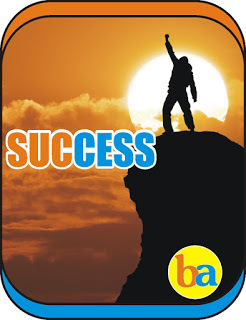 I am a silent reader of bankersadda from the day i started following the website.Today I am sharing my success story & also some tips which i followed during my preparation, hope it will be useful for all who are preparing seriously. After completing my graduation from a government college in 2015 i started preparing for bank PO from july last week. For it i joined a coaching institute and apart from that i bought careerpower test series which provided me an edge in clearing the exam. Qualification: MBA in finance and international business from UPTU in 2014. I am a silent reader of this website. First of all hello to everyone. My success story is so long agar main start karu ki kabse exam dena start kiya and kaun kaun se exam diye to list bahut long hai. Shayad first exam sbi ka 2011 me diya tha us time maturity nhi thi bas majak me fill kar diya tha and result pata tha hona kuch nahi hai. than i was filled ibps last year tha ibps exam tha jo paper par huya tha 250 marks ka and clerk wala clear bhi huya tha but have only 142 marks. This is not a success story, it is a short note that might inspire Students a lot, It is a story of ups and down and again standing up against all odds. My journey for bank exam started from 2 June 2014, I prepared hard for IBPS RRB, PO and clerk exam. I appeared in RRB exam in September 2014 and I cleared both RRB PO and clerk ,I was very happy because It was my first bank exam , My first success , but it went in vain because I didn’t get interview call from any bank because of my low score. My name is Abhishek Srivastava . I am a 2014 B.tech (EEE) passout. I got placed with the very first company which came for campus placement in my college.I am currently working with the same MNC. Initial months at work were really good but as the time passed i realized that i do not belong here. So i finally decided to prepare for banking exam as i have already appeared for it in past during my free time after my engineering was completed and i started working. But the biggest challenge now was how to maintain a balance between the preparation & work in the office for around 10 hours a day. So finally i prepared a TO DO LIST and worked on it. Now before i tell you about my preparation strategy let me tell you about my failures. Focus on DI part the Most. It can help you to get a decent score. As i was short of time i could not focus on solving problems from books but you can prefer Sarvesh Kumar if you want to clear concepts. Quizzes of Bankers Adda of last three months before appearing for exam. Bankers Adda Exam Capsules are a Sanjeevani & a must. Quizzes of Day2DayGK.com last three months. Basic & clear Understanding of Banking terms. Read The HIndu on daily basis if possible it will help you in GA & English too. Make this section your strong hold it won't betray you but make sure you are prepared enough with the new sets of Questions & not just the traditional ones. Go for online lectures for each topic to clear your concepts & if you want book to practice go for MK Pandeygo for practice the toughest of them so you don't have a pitfall in exam. Bankers Add Daily Quizzes is a must. Sorry but i can not help you much in this section as i read a lot(NOVELS) from my college days so this section has not been much of concern did not prepared separately for this section best thing is to focus on Cloze test it will surely help you to clear the cut-off if you are not good at it. Second thing is the comprehension part try to score well in this. Develop a reading habit without bothering much about the meaning in the first go. Gradually you will improve. If you have plenty of Time you can prefer SP Bakshi. Warning: Guys if you follow all the above mentioned strategy & You do not take On-line CBT it will be all in vain. It is the key and a prerequisite.Join Career Power or Mahendra. Note: At any point of time do not get emotionally attached to your preparation it will land you nowhere. Guys please understand It all about competency if you are competent enough you will get success else not. So stay focused and win. Hi!! This is Jeevan Chaitanya, recently got selected as PO for United Bank Of India through IBPS CWE-5. Actually this was the first bank exam that I have applied for and was very happy that I’ve got placed. I am a graduate (B.Tech) in EEE relieved in 2015. .
First of all, a huge round of applause to all who cracked PO/SO/Clerk. My parents use to say “Hard work always pay, so sooner or later one would taste the sweet of success”. Many many thanks to Bankers Adda for not only leading to success but giving a chance to share my story to inspire others (at least to few) for their success. In a way round the clock BA is doing gr8888 job !!! Obviously to My dearest Husband Nitin for being so supportive. Success story: Set the target-Hit the target. I am a visually challenged person working at BPO company in bangalore since 10 years. After 10 years I wanted to move to govt job. so I started from 2012 for taking banking exams. But I could not clear the following exams they are mention below. ibps po and clear sbi associate po not Selected in interview. Selected as- LIC ADO, FCI ASSITANT G 3, UCO Clerk and United Bank of India PO. I am an ardent reader of bankersadda from the very begining of my preparation. Thanks a lot to whole bankersadda team for your support and guidance. Earlier i have read so many success stories, now its my turn to share the same. Today I am sharing my hurdle story & also some tips which i followed during my preparation, hope it will be useful for all who are preparing seriously. I have completed my MCA in the year 2014, then i decided to join a coaching institute to get an overview of the bank exam. My first bank exam was IBPS RRB OS1 2014 , i was failed as i didn't know anything about bank exam. So that one of my friend Sanjib told me about bankersadda and i found its the best website that i m looking for.And meanwhile it was become my habit to visit bankersadd 5 to 8 times a day and solve almost all quizes. Its GK material is best among all. I m silent reader of BA.I actually never had an idea to join finance sector that to a government job.I actually wrote drug inspector exam in which there was huge competition for 50 posts in 2012 n I lost it .I thought no more opportunity in my life to prove myself .A friend told about these banking exams and about coaching institute as she got po in syndicate bank and even then I had a doubt about mathematics subject as I am from science background. I am a silent reader of Bankersadda. Story begins when I completed my graduation in BBA in 2014. Mostly, all my friends were preparing for banking jobs then I skipped my thinking from private to govt. sector exam preparation. My success story is not much different from others. Just i wanna say ki jo b bole 6-7 month ki preparation me bank k exams ni nikalte, just dont believe them guys. Just and just hard work will get you through. My journey started when i completed my MBA from ICFAI university Hyderabad in 2014. After that i got placed in KARVY stock broking limited, but the job was quite monotonous so I lost the interest in the job in HR words ( JOB DISSATISFACTION ). Then my father advised me to go for Bank jobs and then i quit the job in April 2015 and started my prep from May 2015. I was literally harassed in SBI pre when i got just 3 marks in maths sectional. I felt like its not my cup of tea, but then one of my friend ANSHUL PRATAP SINGH ( who is also a admirer of BA ) motivated me that its just the start take ur failures as ur steps and move forward. I will be happy at least it motivates one of u.
I will try to short my story as possible.I have completed btech(ece) from a reputed college in 2014 and was selected for a company but with very low package. so I denied to join. I started my banking preparation in 2014 june by joining a coaching center near my home. I am an electrical engineer, presently being a banker to the society writing this in the aim to say you that please never loses faith in almighty and in you. Try hard and harder. Never stop until goal has been reached. In today scenario of job market, banking along with s.s.c exam helps a lot of aspirants to secure a stable and better profile job in government sector. I prepared myself only for banking exams. I passed my B.E. in 2012, selected in campus placement and work there for 2 years. But during job, some inner thrust always force me to do something to achieve a govt. job in simple words. I leave the job in 2014, and by the connection of what it may be I came in contact with “EXAMPUNDIT” and with “BANKERSADDA” on the very month of leaving job. That connection felt me that I can surely get through the banking exams, if I try hard. Passing out from a reputed college with BE (CSE) degree in 2014 I had high hopes to do well in IT sector so much so that it was my dream to join big companies because of my inclination towards software development. I started my career with Wipro Technologies and soon discovered it’s not offering the kind of challenge that I want as a developer. I switched to another consulting firm and to prevent myself from the tag of job hopper I decided to stay there for a while. Meri story me thoda struggle bhi hai thoda bad luck n thoda motivation bhi. Mene B.Sc Mathematics se 2014 me kiya or kud pada banking exams kWorld war me. Me hmesa se ek avrg student hi rha hu talented logo wali qualities nhi thi mujhme. Mene jitne bhi exam diye kuch na kuch kmiya rhti gyi but mene himmat ni hari bcz mujhe pta tha k aaj nhi to kal success jhak mar ke aayegi agr ruk gya to dream, dream hi rh jayega.Started with SBI CLERK 2014 Exam and ended with Ibps Clerk V Exam. I'm frequent reader of bankersadda. I want to share my success with you. I am continuously preparing for banking from 2011. Most of the part behind my success bankersadda has played a key role. Now i got three jobs at a time, APGVB Clerk, ANDHRA BANK PO and also INDIAN BANK Clerk. finally I decided to join as PO In ANDHRA BANK. I got placed in Coffee Day Beverages via campus placement. Left it within 4 months. very Unprofessional. Thanks to a cousin of mine. I started preparing for Bank Exams in July'2015 ending. First appeared for RBI Assistance, failed,thought it might not actually be my cup of tea. Then came IBPS PO Prelims. I cleared it with good marks above cutoff. Thought yesss..atlast something good is happening! Tide is turning my way!!!! And then IBPS declared shortlisted candidates. Nope. For two long years i did nothing more than just killing time expecting someone to get me a core job through reference,i din't attend even a single interview in a span of 2 years. When the situation started getting worse with everyone around criticizing me for staying at home doing nothing,this is when i realised that i had to build my career myself. Though i had attempted 2exams prior to that point i had not given it a serious thought. I would like to thank the BA team for doing such a great job. They have provided not only the material required for the bank exams but also the motivational articles which keeps alive the hope in the aspirants. Believe that ur past can not decide ur future, but ur present will. So no matter how bright or weak student you were, if u act accordingly you can conquer each and every exam in life. My father is in SBI and ever since I was a kid I wanted to work in the public sector. I have always wished to be of service to other people and working for the government seemed like the perfect way to achieve that. Moreover, growing up as i watched my father working, I realized how well the public sector caters to its employee’s needs. I have been dreaming to write my success story since January’15 since I started preparing for Banking Exams & finally here I am with my journey.I am a silent reader but a daily follower of BA.